so much disney in primark lately!? Feeling sorry for myself while trying to get over some weird bug, so me and my mom took a little trip to Merry Hill shopping centre. I didn't expect to buy much, I just wanted to browse and get out the house. 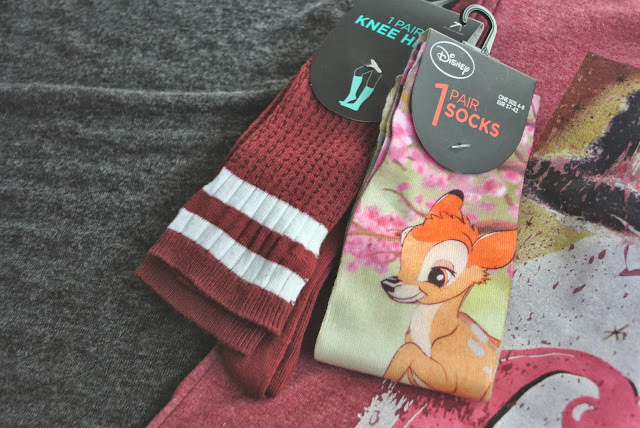 Although lately I've been itching to check out primark and that's exactly what I did, finding some really adorable and well priced clothes...also lots disney. We only popped into a couple of shops as my migraines couldn't handle my usual 5 hour shopping sprees. 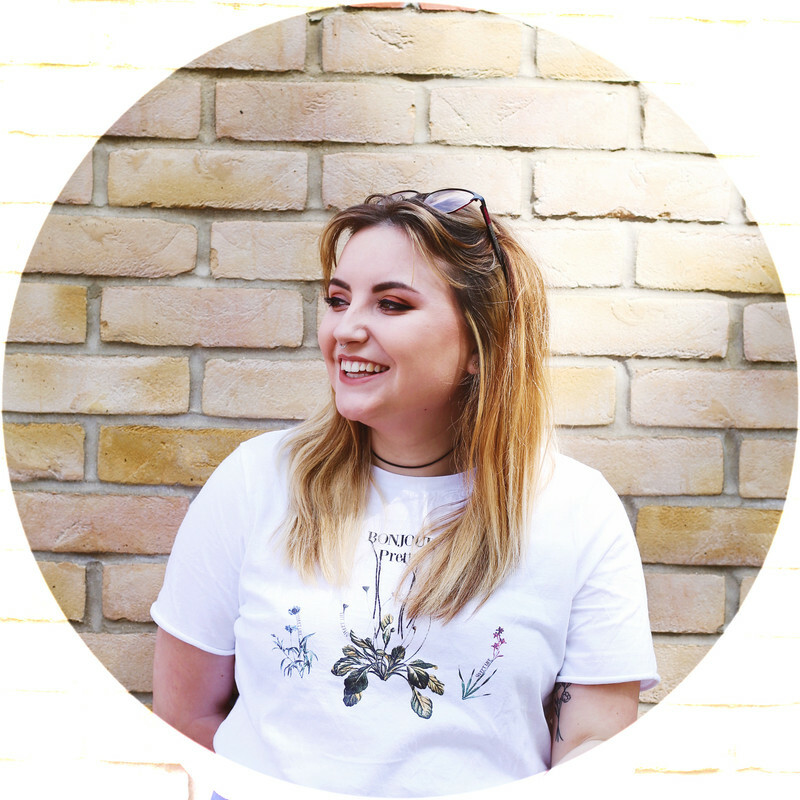 I've been looking for a basic slouching t-shirt for ages and luckily found a selection in primark (I'm thinking of going back for more) only £5.00 it's a really comfortable and soft material with short bat-wing sleeves. Perfect for those days when I have lectures and not feeling too make an effort or when I'm feeling like a lounging day, ah bliss! I also found this vintage style Cinderella t-shirt, I haven't seen anyone actually wearing this t-shirt however the store had only 3 sizes left. 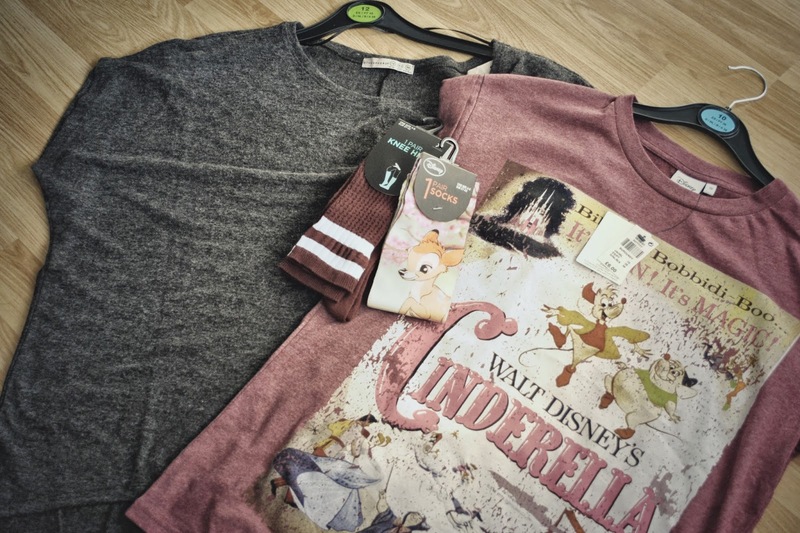 I tend not to buy graphic t-shirts from Primark as everyone starts to wear them within weeks but it was burgundy and disney, I mean come on!? I've been looking for striped knee high socks for quiet some time now but I'm never prepared to pay £8 for a pair from American Apperal, so this pair was thrown in my basket at only £2.00, bargain right? I also found this adorable pair of Bambi socks which were also cheap and cheerful at £2.50. Both pairs have no real use or purpose to my wardrobe but they were really cute and I thought 'why not?! ', also I've got St.Trinians freshers night tonight so maybe the knee high socks will come in handy with my outfit..hopefully! I felt so lucky that it actually fit! I knew if I didn't buy it then I would've missed out! get them quick, before they all go!